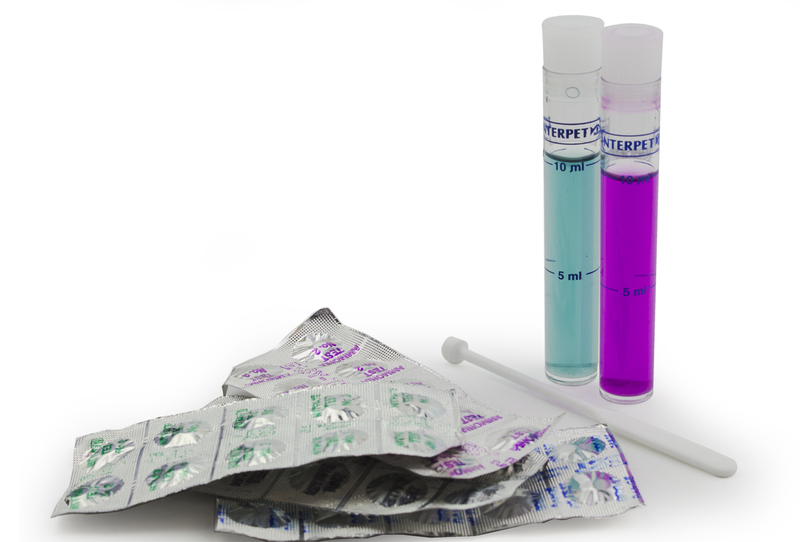 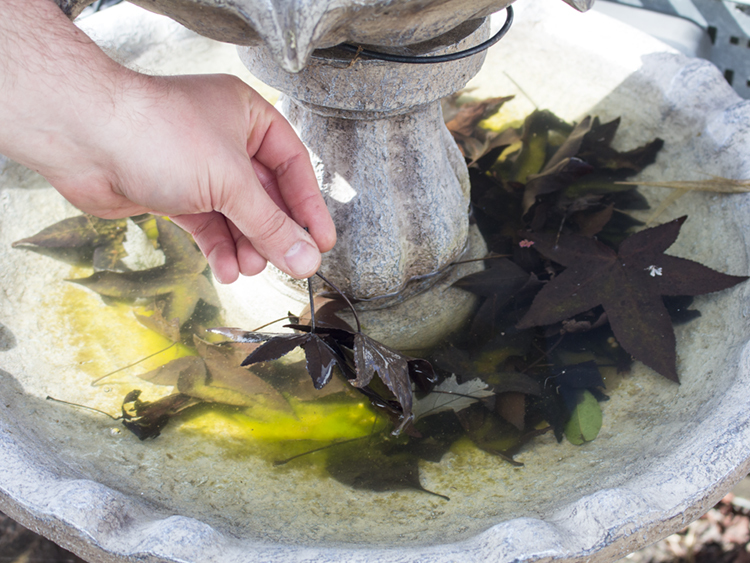 Do a partial water change to dilute any water issues which may have caused the problem. 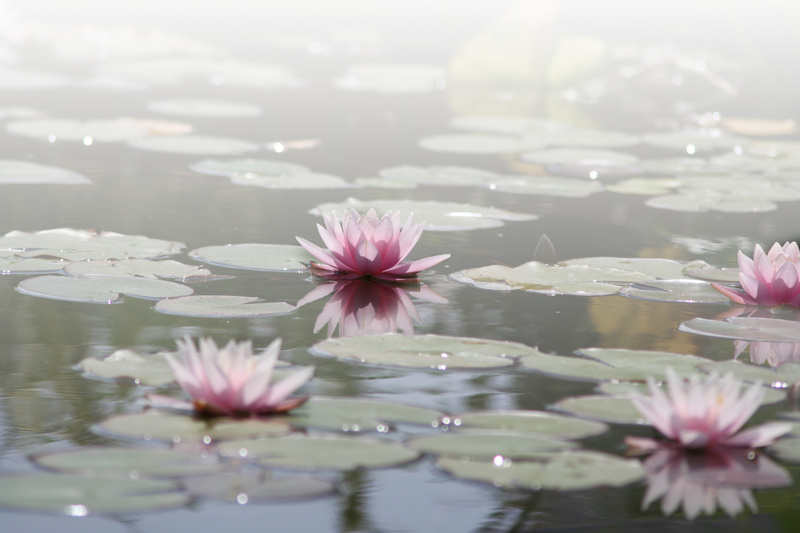 Blagdon Feature products should not be used to treat water features in ponds where there is aquatic life present. 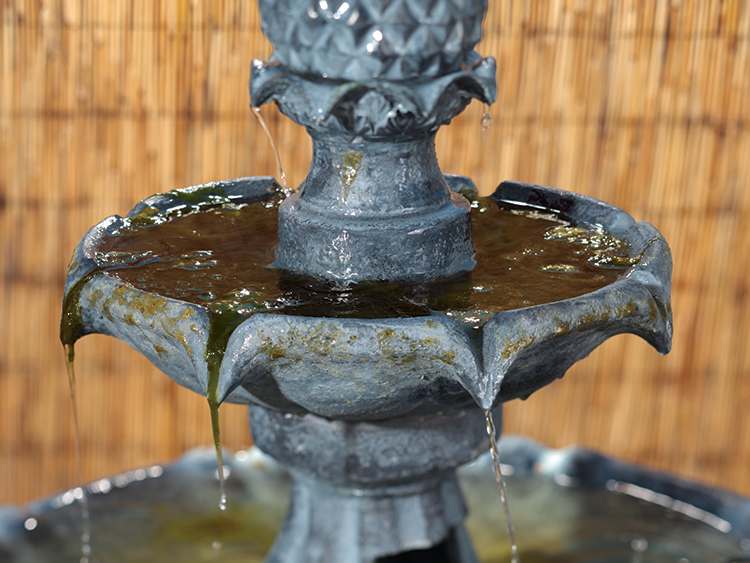 A self contained water feature is a relatively unstable biological system and bound to get dirty with organic and mineral deposits. 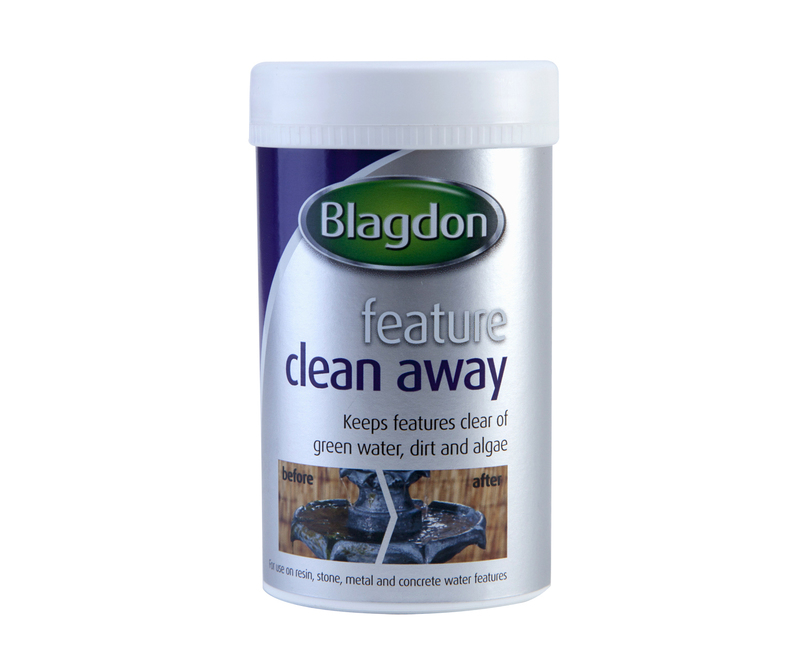 Preventative treatments can be used to help stop the build of waste all together and there are fast acting solutions to help get your feature back to its former glory should waste become a problem. 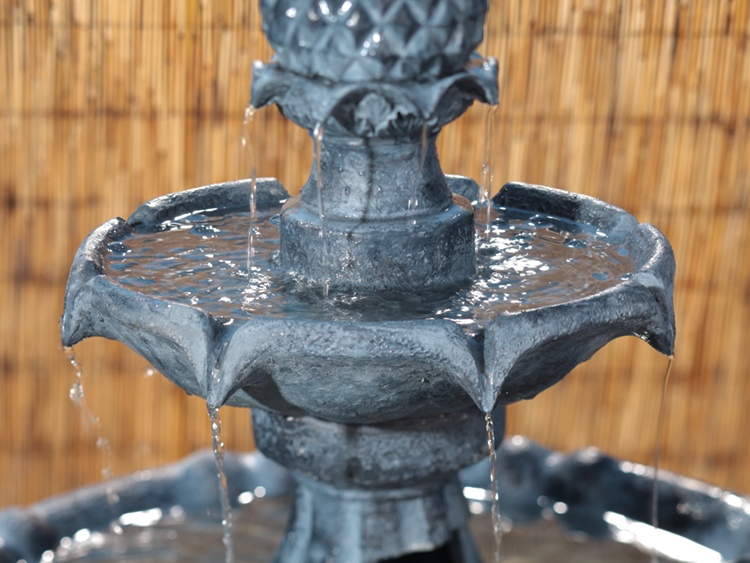 It is important to regularly clean your self contained water feature to keep it functioning properly and ensure it is an enjoyable addition to your garden. 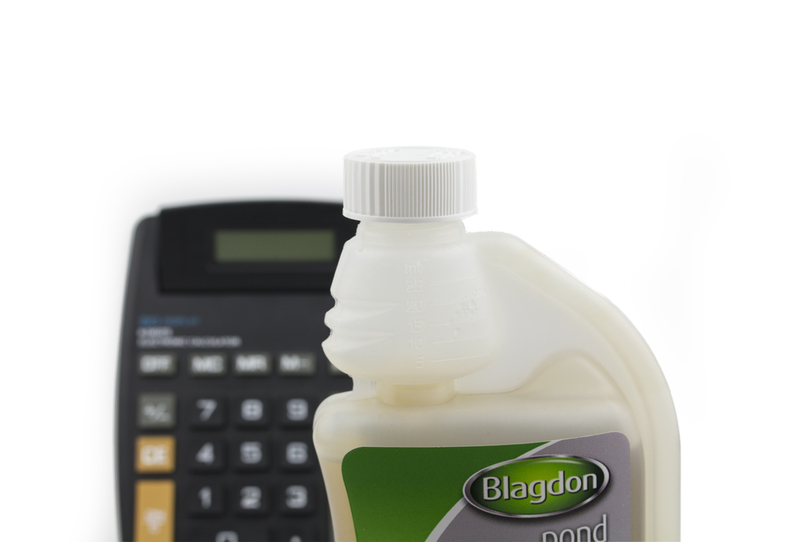 If lime scale is a particular problem with your feature consider using deionised or rain water instead of tap water. 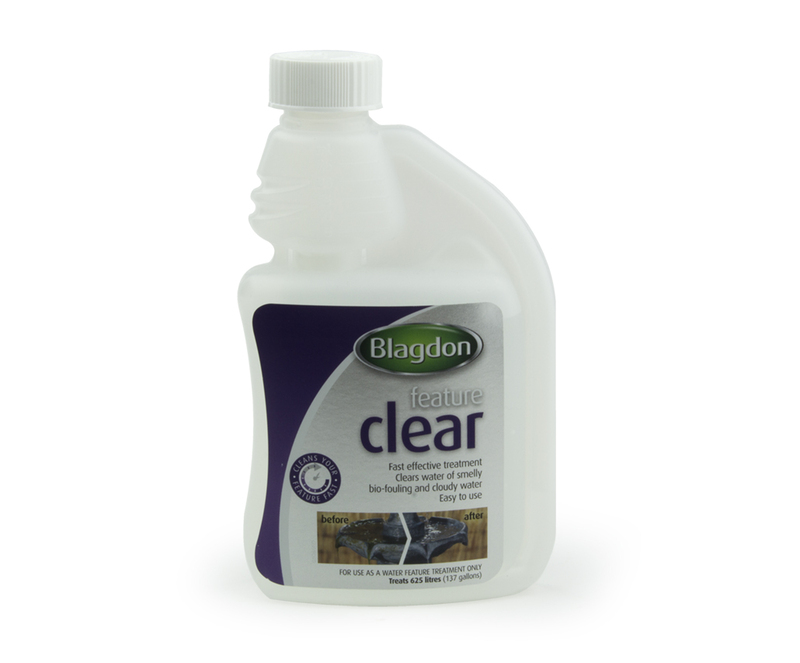 Feature Clear will control and clear free standing water features of all common forms of unsightly and smelly bio-fouling such as cloudy water. 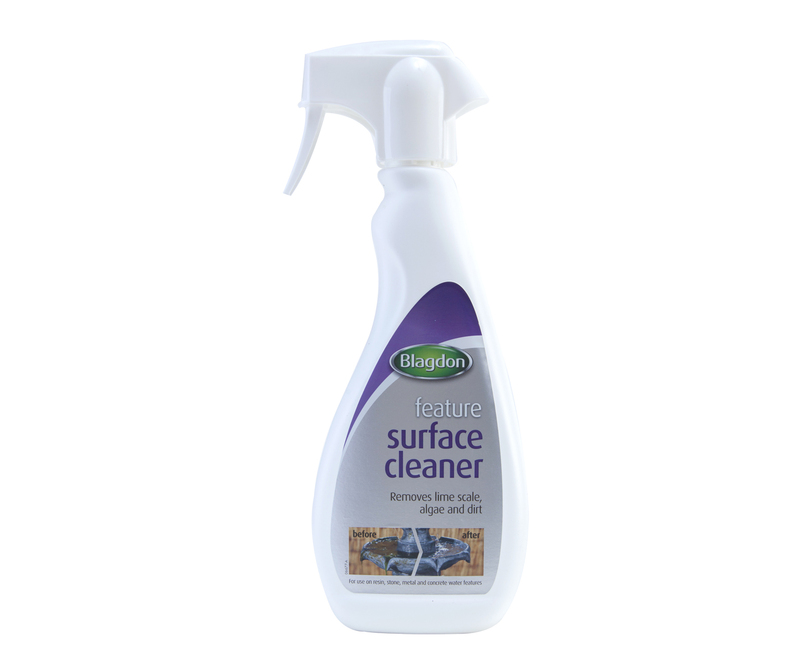 Removes lime scale, algae and dirt effectively from resin, stone, metal and concrete water features. 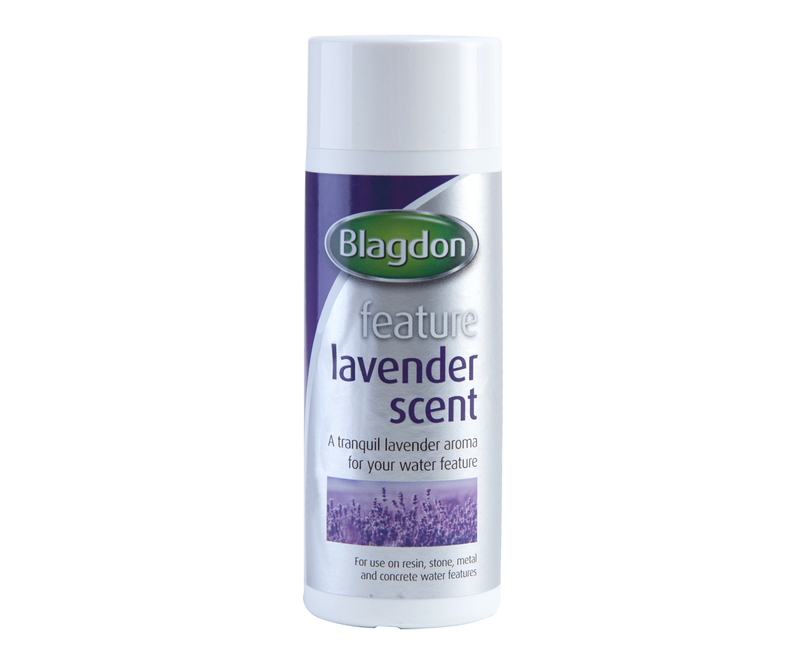 Feature Lavender Scent introduces the tranquil relaxing smell of lavender to your water feature- aromatherapy for your garden.